The Academy was established in January 1995 at The Hampton & Hampton Hill Community Centre and then at the Linden Hall Community Centre both in Hampton, Middlesex. The school now holds classes at the more spacious studios at Reach Academy, Feltham High Street, Feltham. As well as at the Hampton Baptist Church Hall, Beard’s Hill, Hampton. The Academy offers Classes for students from the age of 3 years upwards giving them the opportunity to study Ballet, Tap, Modern, Jazz, Contemporary, Creative Dance, Choreography, Musical Theatre, Singing and Acting. 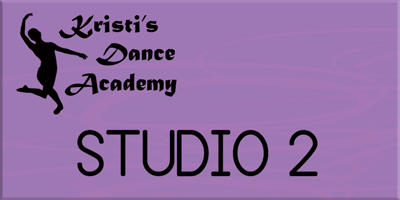 The Academy enters candidates for ISTD, RAD and LAMDA Examinations and currently has a 100% pass rate in all faculties. Pupils are also given the opportunity to perform in Shows, Carnivals & Charity Events. The Academy encourages each and every pupil, whether they are looking for a career in the performing Arts or purely dancing for the exercise, fun and to meet new friends. The Academy takes care with every student to ensure they develop from their first dance class as a toddler to a well-rounded, respectful and thoughtful young person as well as providing them with all the skills needed to pursue careers in the profession if that is their wish. Whilst enrolled in classes at the Academy many pupils study GCSE, ‘A’Level, BTEC and Dance Degree courses at various Schools, Colleges and Universities within the region. In recent years, senior students trained by the Academy have successfully auditioned for Laine Theatre Arts, Graham School of Contemporary Dance based in New York, Rambert School of Ballet and Contemporary Dance, Northern School of Contemporary Dance, London Studio Centre, Bird College, Millennium Dance 2000, Laban, Arts Educational, Stella Mann, D&B College, Performers and Urdang Academy. Many of these students are now enjoying successful careers in the industry. For more information please visit our Contact page or download our prospectus. Terms and Conditions and a GDPR statement will be handed to you upon enrolment to the Academy, if you are already enroled in the Academy and require a copy please do email.